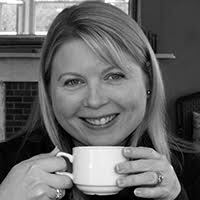 Today's guest is Cecelia Mecca who is showcasing her latest #historicalromance THE THIEF'S COUNTESS. With over 30 mostly 5 star reviews on Amazon, this is not a book to miss! 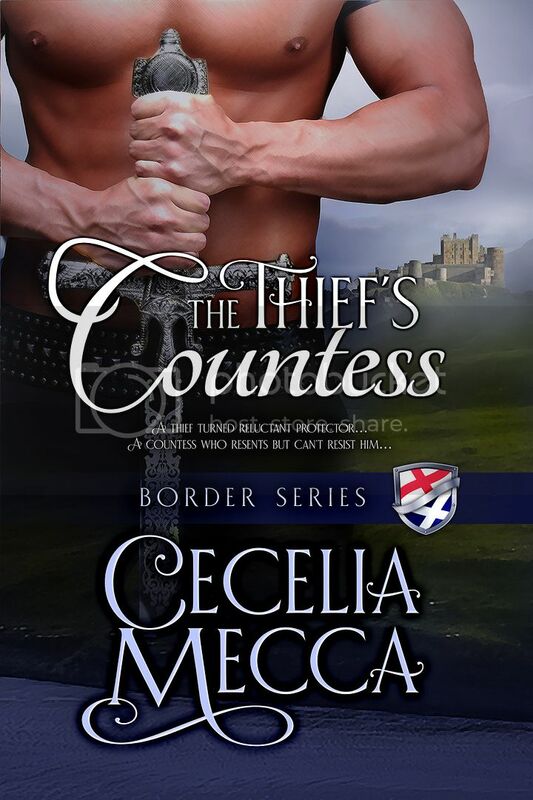 Cecelia is giving away a digital copy of THE THIEF'S COUNTESS to one lucky reader. Scroll down to enter the #Rafflecopter contest. It is always a pleasure to welcome my friend, Amy Rose Bennet to my table. 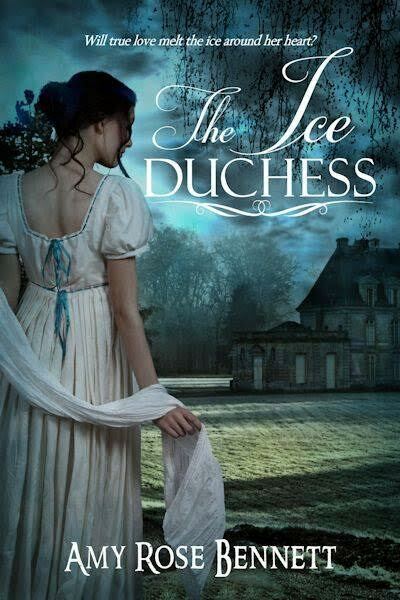 Georgiana Dudley, the âIce Duchessâ, has just emerged from mourning after a nine-year marriage of convenience to the Duke of Darby, her twin brotherâs lover. Deeply hurt by a scoundrel a decade ago, Georgie swore she would never turn her head for any man, let alone another rakehell. But then she encounters the wickedly handsome and all too charming Rafe Landsbury, the Earl of Markham and against her better judgment, her interest is reluctantly aroused. An affair may be impossible to resist but dare she trust Lord Markham with her most intimate secrets... and her heart? Society believes Rafe to be a diplomat but for many years he has been working on the Continent as a spy for the Crown. Leaving the shadowy world of espionage behind, he returns to London with the intention of finding a wife. When he is paired with the frosty yet fascinating Duchess of Darby at the piquet table during a ton ball, he is intrigued. Do-or-die man that he is, heâs certainly not going to let her cool demeanor dissuade him from pursuing her. Georgie took her seat at one of the piquet tables in the card room and removed her gloves, hoping that Phillip, Lord Maxwell, wouldnât notice her slightly trembling fingers when he joined her. It seemed absurd to be so nervous. Where was her famous sang-froid? It probably didnât help that a hush had descended over the card room as Jonathon had escorted her in, and at this very moment, she could feel at least a dozen pairs of eyes, if not more upon her. The unvanquished Ice Duchessâthe woman who barely ever lost a gameâwas about to play cards again. Of course people were going to notice. Curse her brother and Helena. She would have attracted much less notice if she had simply decided to dance after all. Lemonade in the ladiesâ retiring room seemed more appealing by the second. And where in heavenâs name was Phillip? She glanced about the room but could not spy Helenaâs husband anywhere. Not only that, she could see Jonathon disappearing out of the card room, no doubt chasing the dapper young buck heâd been making calfâs eyes at earlier. If Phillip didnât appear within the next thirty seconds, she would cut and run. âMay I join you, Your Grace?â A soft baritone drew Georgieâs attention away from the ornately arched doorway of the card room and back to the table. She glanced up. And it was all she could do not to gasp. 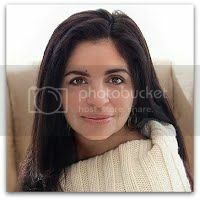 A dark-haired, lean-jawed rake was smiling down at her. Her dastardly brother and friends had set her up after all. Blast them all to hell. Drawing in a steadying breath she summoned a slight smile. Her well-practiced, cool duchessâs smileâa smile that had sustained her for almost a decade in the face of such obvious raw masculinity. Thank God she still had it. âAnd you are?â she asked smoothly, arching an eyebrow. âI believe weâve never been introduced.â She thought she knew most rakes of the ton and she had only been away from London for a year. But this tall, handsome man with smoke-gray eyes and a dark velvet voice, she didnât know at all. As if she could refuse with everyone watching. Sheâd gleefully strangle Phillip, Helena and Jonathon later for putting Lord Markham up to this. They probably thought sheâd build up a rapport with the man over cards. Then heâd suggest they dance or perhaps peruse the supper table together. His large hand would touch her elbow, the small of her back. His fingers would brush against hers as he passed her a glass of champagne... She knew all the ploys he would use to try and get her hot and bothered. But she wouldnât fall for any of them. Never again. Just because she was a widow, it didnât mean she was fair game. Georgie tried not to stare as the nobleman folded his long, lean frame onto the damask covered Adams chair opposite her. Markham, Markham. No, not a memory of him stirred at all. Where had such a man been hiding for the last decade? He exuded such a quiet self-assurance as he watched her reach for the deck of cards, a completely unexpected and most disconcerting wave of heat swept over her face. She hadnât blushed in years. What is wrong with me? An Amazon gift card of $20 (USD) and a KINDLE copy LADY BEAUCHAMPâS PROPOSAL: Scandalous Regency Widows, Book 1 will be gifted to a random commenter/participant during the tour. The Giveaway runs from September 30th to October 11th. Starting and ending at 12:00AM EDT. Best of Luck to all contestants!